Dementia Australia | 1200 kilometres in honour of Nan. Dustylee is a truly inspiring young lady! She is 32, works as a nurse, has 4 beautiful children and, prior to this challenge, had never run more than 4km in her life. 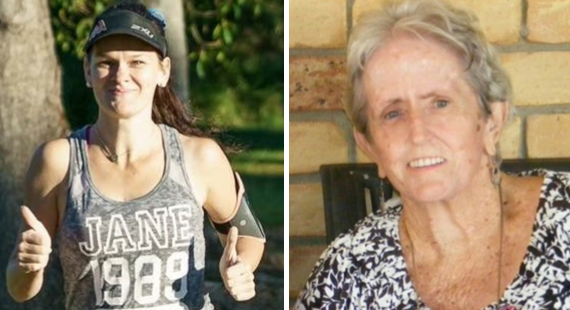 She is running to honour her Nanna and show her 4 children what can be achieved with determination and courage. “Nanna passed away in March 2016 after living with dementia for many years prior to her passing. I wanted to do something to honour her memory, so I decided to set myself a challenge,” Dustylee said. “I had never run more than 4km in my life before starting the challenge, so setting a target of 1200 kilometres for the year has been huge. “Beginning is always the hardest part. Dustylee encourages the notion of physical activity, believing there is no need to be fast or be able to run long distances to participate in events. So far this year Dustylee has participated in a number of events to increase her kilometres, including a running Tri series, 2 half marathons and regular Park Runs in the North Lakes area. Recently, Dustylee suffered a gruelling injury in the first kilometre of the Sunshine Coast half marathon when a muscle in her pelvis flipped over her hip bone. Showing an extreme amount of resilience, she kept going and finished the distance of 21.1 kilometres. So far Dustylee has raised an incredible $4,617 and is extremely determined to make her $12,000 goal by the 31st of December. You can help Dustylee reach her goal by donating to her fundraising page here. Remember, all donations over $2 are tax deductible. To follow Dustylee’s incredible journey please visit her Facebook page. Dementia Australia would like to wish Dustylee the best of luck on the remainder of her journey, thank her for showing us what can be achieved with determination and courage, and sharing her inspirational story with us.